Location! Location! Location! 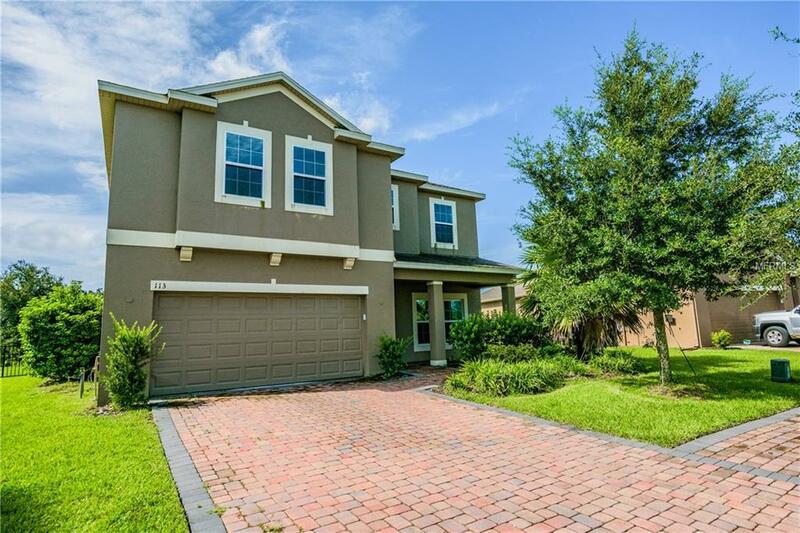 Take a look at this spacious 4 Bedroom/3 Bath, Two Story Home in the Gated Community of Bridgeford Crossing! Your entry way quickly opens up to an open floor plan where your modern kitchen overlooks a large Great Room! The Kitchen has a complete set of stainless steel appliances, modern cabinets finished in a rich espresso color, a walk-in pantry and island with sink! This is the perfect spot for entertaining guests and family gatherings. There is a Bedroom on the ground floor that makes a great Guest Suite or Mother-in-law Bedroom with a Full Bath nearby! Take the staircase to the Second Level and arrive at your Bonus Room with lots of natural light coming in two large windows! Just off this room is the Master Suite where you have a luxurious Master Bath with Dual Vanities, Custom Tiled Walk-In Shower with Dual Shower Heads, a large Walk-In Closet and Private Bathroom! On the opposite side of the home, you pass an oversized Laundry Room complete with Whirlpool Washer & Dryer! Two additional Bedrooms are just beyond the laundry along with another Full Bathroom! The entire home is wired with a sound system, both inside and outside! Your Backyard overlooks a Pond and is fully fenced in wrought iron so you can enjoy the view anytime of day or night! Live the resort life with a Private Clubhouse, Tennis Courts and Swimming Pool! This community is full of charm with cobble-stone sidewalks and driveways and the HOA even maintains your front lawn! This lifestyle is waiting for you! Listing provided courtesy of Real Estate Brokers Usa, Inc..